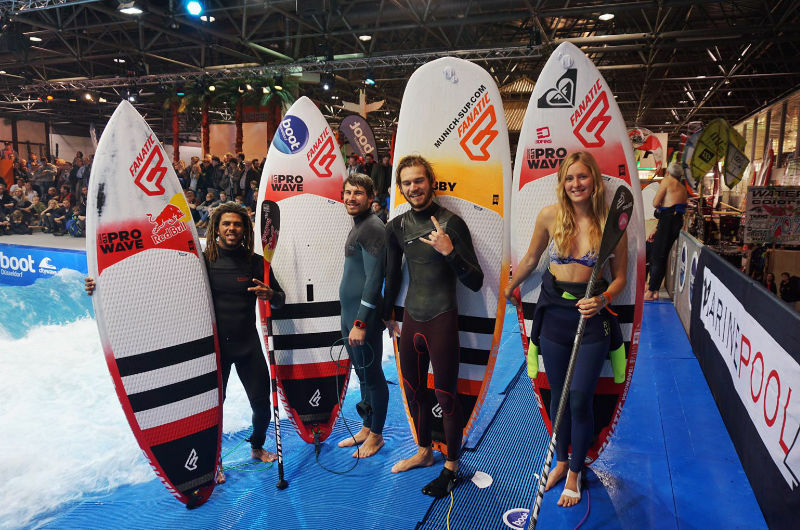 Windsurf / Campeonatos / AIRTON COZZOLINO WINS THE SUP WAVE MASTERS, PAULINA HERPEL 3RD! 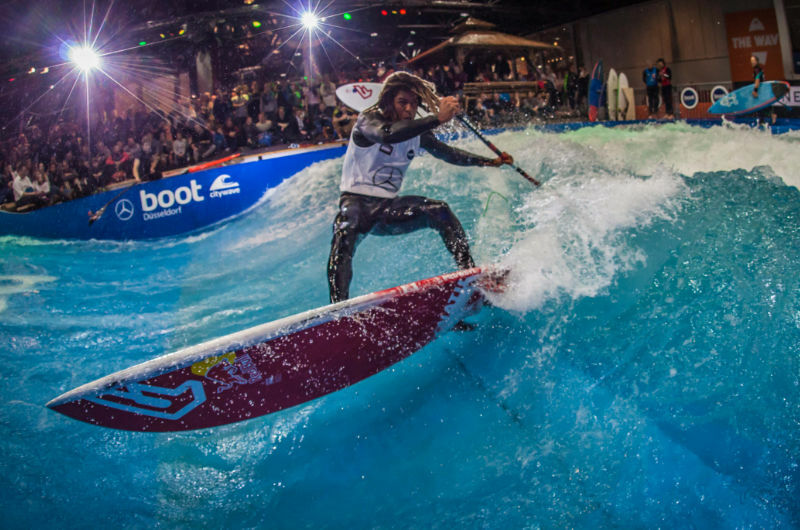 For the first time the organisers of the boot exhibition in Düsseldorf/Germany, the world’s largest water sports fair, have orginised the Deepwater Indoor Wave to do a SUP Wave event on it. 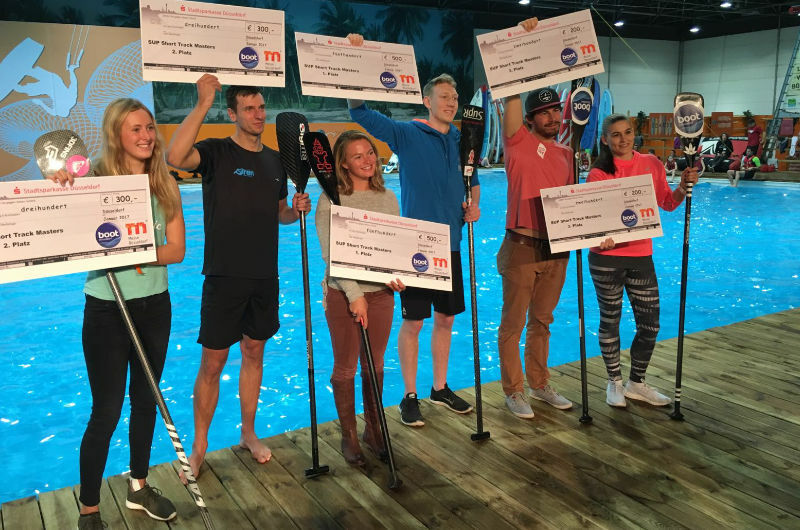 In cooperation with the event organizer Superflavor they invited some of the the best Stand Up Paddlers nationally and internationally like Airton Cozzolino, Zane Schweitzer, Fiona Wylde, Paulina Herpel or Moritz Mauch to define the SUP Indoor SUP Masters as well as the Shorttrack Race Masters in the pool. 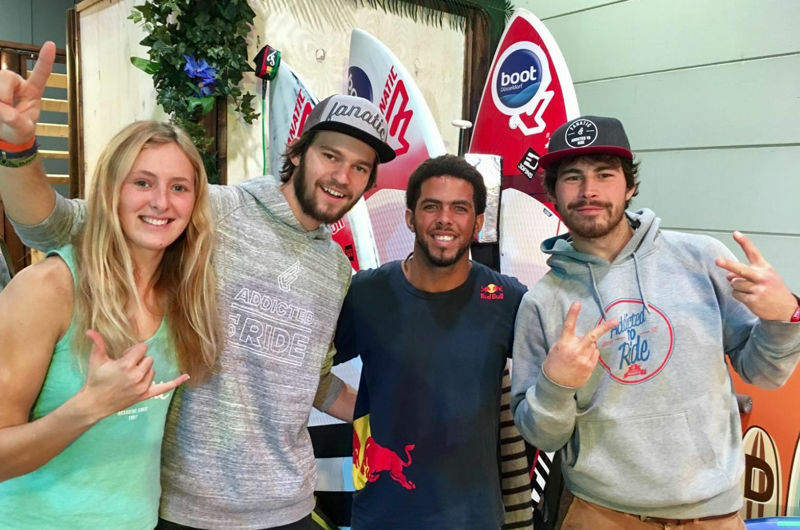 For Fanatic Airton Cozzolino, Paulina Herpel, Kai Steimer and Valentin Illichmann took part in the Wave contest. 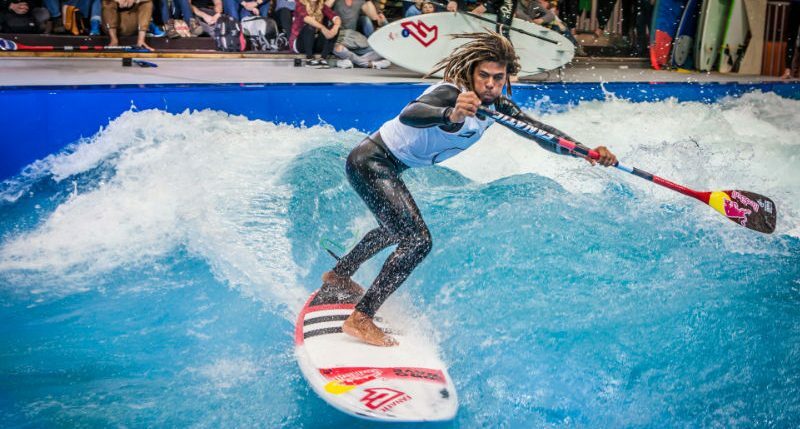 Airton flew in from Cabo Verde and experienced a small shock from the cold winter when he arrived last Wednesday here in Munich. 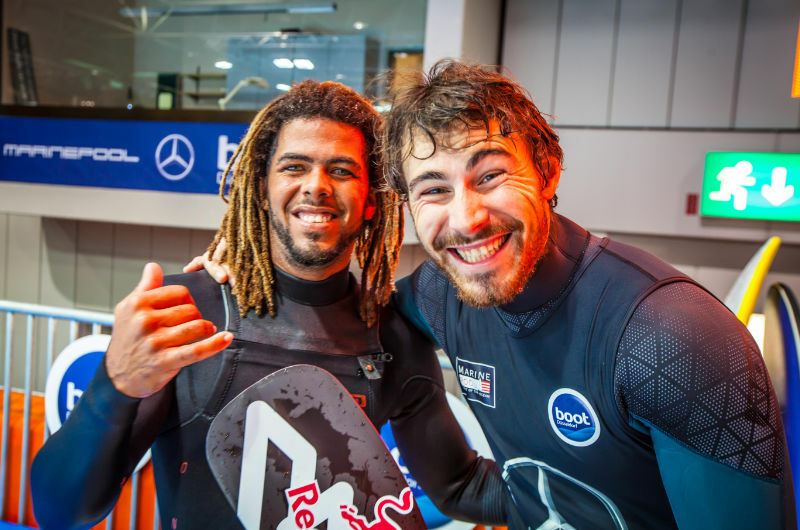 But thanxs to ION and Valentin´s wardrobe we have found him a warm wetsuit and some extra clothes. 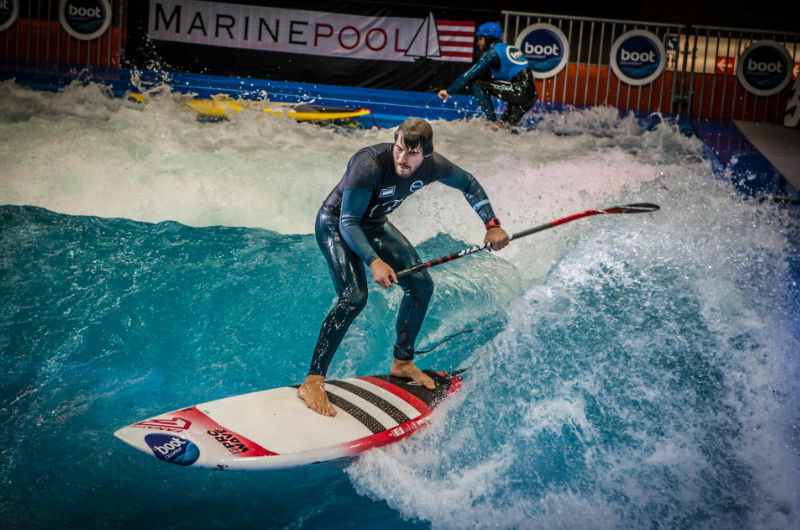 On Friday the riders were able to train on the wave for half a day. 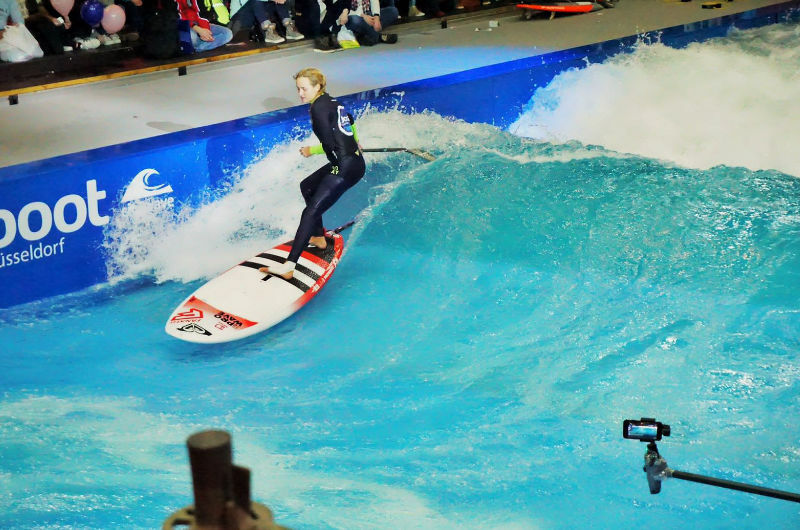 While the others already had some practice on Munich´s Eisbach wave, it was Airton´s first time on a artificial wave. 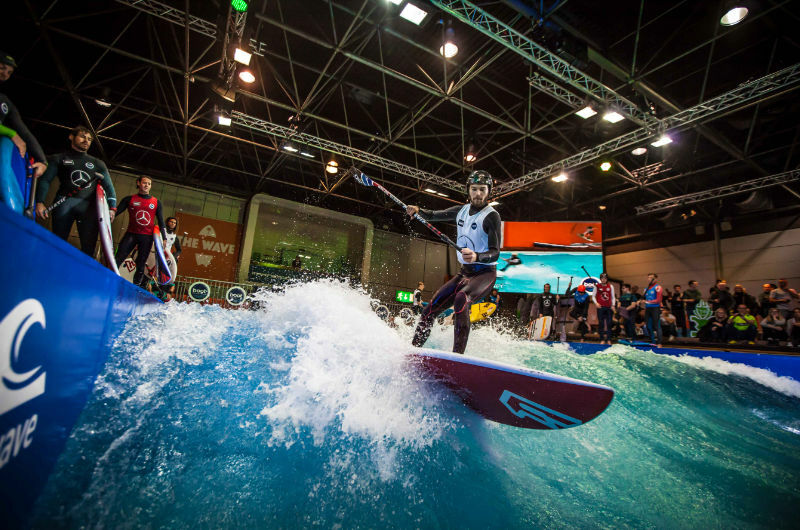 But already on the second run he was feeling at home and was ripping like he never did anything else – he was the only one doing Pop-Shuvits:-) Airton finished 1st in front of Zane Schweitzer and Paulina landed in 3rd place. Kai Steimer finished 5th and Valentin Illichmann 9th. Paulina and Kai also participated in the Shorttrack Race Masters, where Paulina finished 2nd and Kai 3rd. 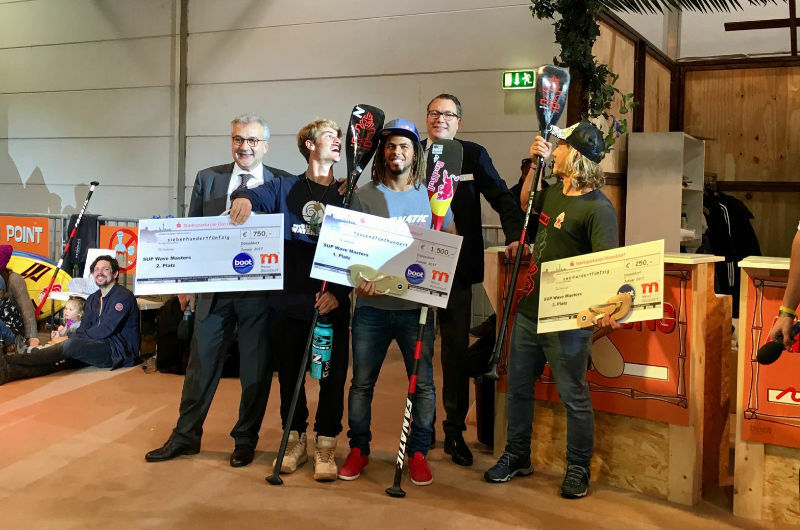 Unfortunately Valentin hurt his shoulder during Snowboarding last week and was not able to compete. 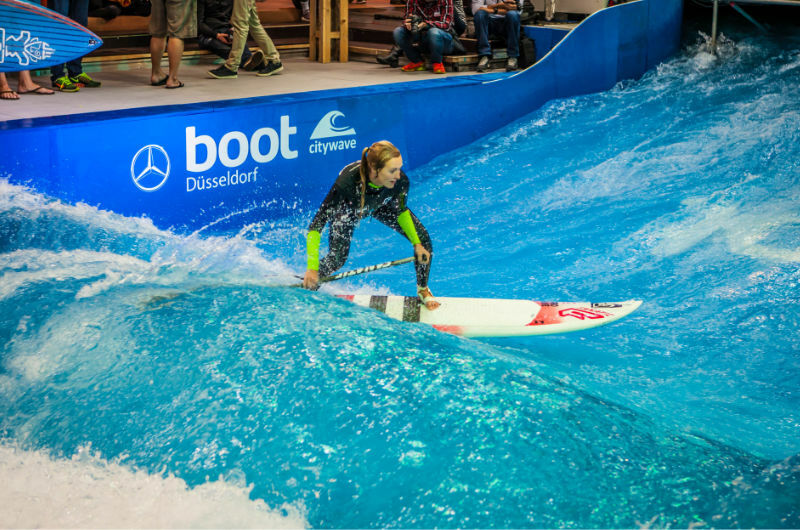 Well done team and thxs again Airton for coming all the way to cold Germany!